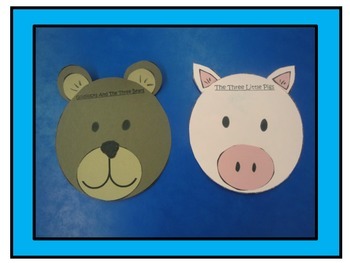 This a super simple bear face and pig face set that I used when teaching about Goldilocks And The Three Bears and The Three Little Pigs. 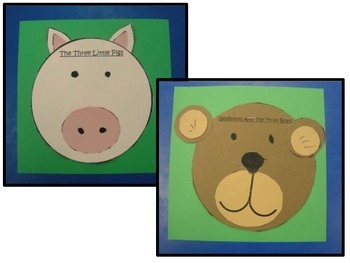 My students all made a bear and a pig, and I stapled them onto a green piece of paper (the bear on the front and the pig on the back of the paper). 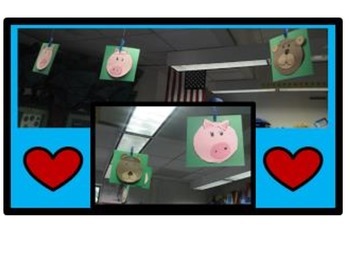 Then I had them hanging from my lights in my classroom (I have clips attached to clear, fishing line that’s attached to my lights). 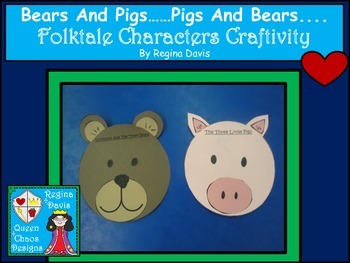 Please download the free preview as it contains the product in its entirety (minus the black lines). The download will be clearer than the free preview.